The poet’s words are haunting. But are they true? Lee Myung Bak may be about to find out. Lee Myung Bak is cut from the same cloth—or was. The man nicknamed bulldozer had until now seemed steadfast in his policy on North Korea. This might be likened to a pair of hands. The right hand offered the North all manner of benefits. As I write, you can still find this in pristine form in the Wikipedia entry for the Unification Ministry, which isn’t about MOU at all, but rather—at a guess—penned by the ministry circa 2009 as a public relations plug for Lee Myung Bak’s policies. Surprising that they got away with that and that no one has since counter-edited it. A key plank here was Vision 3000—a slogan we’ve not heard for a while—which pledged to raise the North’s GDP to US$3,000 in short order, via massive Southern aid and investment. But if the North were tempted to reach out and grab the goodies, a stern left hand blocked it. Sorry pal. There’s just one tiny precondition. Those nasty nukes: Ditch them, ok? After all, you won’t need them any more. What have you got to fear? Uncle Lee will look after you. That was the deal. Or rather no deal, because no dice. As Andrei Lankov wrote three years ago, “the Vision 3000 plan has not the slightest chance of being accepted by the North.” In fact, it was doubly unrealistic. Not only was pihaek (denuclearization) unacceptable to the North, but so was the direct advocacy of kaebang (openness): a red rag to the Pyongyang bull. This raises questions, if now mainly of historical interest: Were Lee and his team really so naïve? 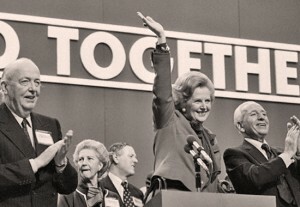 Did they all agree, or might some have proved less hardline and more pragmatic? Researching this article, I found a piece by one such adviser, Korea University professor Nam Seong Uk, in of all places the left-leaning Hankyoreh, back in 2007, when Lee was still just a candidate. By this account, the Northern question is personal for Lee. He lost a brother and sister in the Korean War, and in 1987, 60 of his employees (Lee ran Hyundai’s construction arm back then) were among the 115 killed when “virgin bomber” Kim Hyon Hui—surely the luckiest mass murderer alive(? ), but I digress—downed Korean Airlines flight 858. President Lee’s core of his North Korean policy must be how to react if North Korea does neither denuclearize nor reform …. As of now, there seems no clear-cut counter plan on Lee’s side. Himself a hardliner—he refers to supporters of the sunshine policy as the “pro-North Korean faction in Seoul”—Hong harbored doubts about Lee and his team: “Some of the new administration’s policymakers have problematic views. One [such] is Professor Nam Sung Wook of Korea University.” (Same guy, different romanization). To Hong, Nam’s sin was his willingness to cooperate with the North—i.e. proffer aid—so as to encourage denuclearization, rather than sticking to the latter as a precondition of the former. We know who won the argument. Not to reprise points already labored in my earlier articles for 38 North, but Lee stuck to his guns, and look where it got him. Surely not even the likes of Hong could claim the peninsula is in a better or safer place now than four years ago? In August, it seems Lee Myung Bak finally got the message. We haven’t heard directly from him yet, but recent actions suggest the gentleman is very much for turning after all. I’ll get to the new unification minister in a minute, but that wasn’t the first sign. 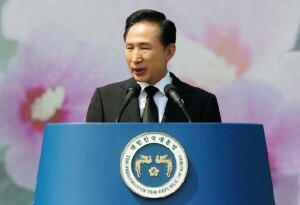 On August 5, 2011, Suh Jae Jean was denied a second three-year term as head of the Korea Institute for National Unification (KINU). KINU is the top think-tank on all things Northern under MOU, and Suh—no kin to SAIS’s Suh Jae Jung—had been a key influence on Lee Myung Bak’s thinking. The reforms and opening undertaken by countries of the Socialist bloc in the late 1980s to reintegrate into the world economy are a universal path which they chose to trek …North Korea will not be an exception. This study suggests that Vision 3000 through Denuclearization and Openness is a policy that can lead North Korea to this universal trend in history. Alas, it didn’t—or at least, it hasn’t yet. I heard Suh expound this two years ago, when we had a private lunch after I had given a seminar at KINU. The autumn leaves of Gangbuk-gu in northern Seoul added to a sense of peaceful process. But I’m afraid I wasn’t persuaded. As with Wallerstein himself, the flaw lies in the level of generality. Even if communist states are fated to come in from the cold in the end, they may have a choice about how and when. The “universal path” is not in fact singular. There is more than one road out of the forest. To be concrete, as we must: Faced with a colder Seoul, Pyongyang riposted on two fronts. Militarily, it sank a ship—the other Suh ain’t suh sure about that—and shelled an island. Economically and politically, it cuddled up to a different big brother instead, namely China. And now Russia as well, with Kim Jong Il’s jolly jaunt to meet Medvedev in Ulan Ude. Maybe Lee Myung Bak was already mulling a change of line. There were earlier straws in the wind, like the secret talks in Beijing in May until the nasty North blew the whistle; although their premise—Come to Seoul, dear Kim! Lay down your arms!—suggested Lee had learnt little. Then came that unexpected moment at the ARF in Bali in July, when to everyone’s surprise the two Koreas talked for two hours about nukes; though nothing has come of this since.